Need to send more than one? 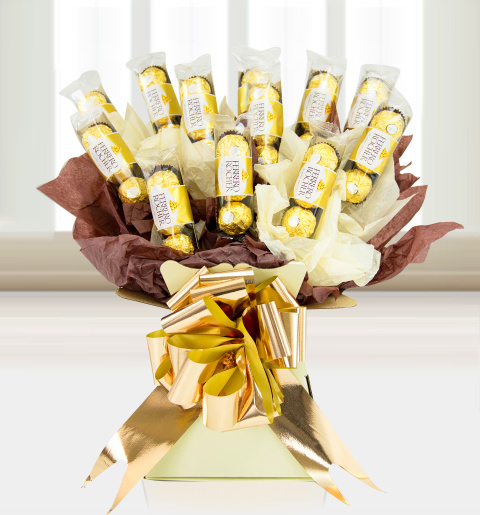 Exclusive to Prestige Flowers, this Ferrero Rocher bouquet is filled with 36 delicious Ferrero Rocher chocolates. Each one is carefully handmade and presented with ribbons in a luxury box - it&apos;s the perfect gift for those special occasions! This bouquet is available for UK next day delivery. Deliveries may be early during peak events. For further information click the live help button on the left and a customer care agent will advise you before ordering.